Brooklyn Research is pleased to present an artist talk by renowned media artist Toni Dove. Dove lives and works in New York. Since the early 1990s, she has produced unique and highly imaginative embodied hybrids of film, installation and performance. In her work, performers and participants interact with an unfolding narrative, using interface technologies such as motion sensing to “perform” on-screen avatars. Presented in the United States, Europe and Canada as well as in print and on radio and television, her projects include: Archeology of a Mother Tongue, a virtual reality installation with Michael Mackenzie, Banff Centre for the Arts. 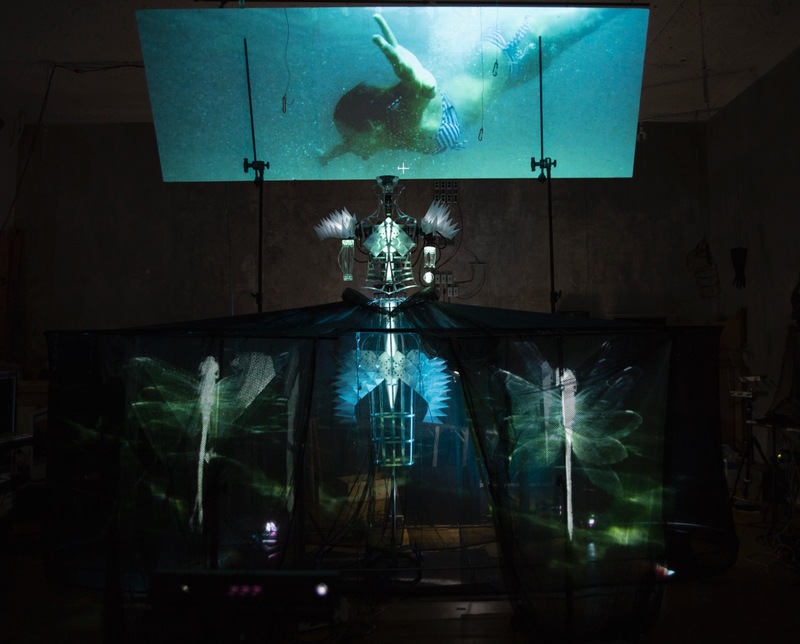 An interactive installation, Artificial Changelings, debuted at the Rotterdam Film Festival, part of the exhibitions: ‘Body Mécanique’ at the Wexner Center for the Arts, Ohio; at the Institute for Studies in the Arts at Arizona State University International Performance Studies Conference. Her current work in progress is an interactive cinema and robotics installation The Dress That Eats Souls. It will be presented as part of a retrospective of Dove’s interactive work at The Ringling Museum in Sarasota Florida in early 2018. The exhibition will cover 20 years of interactive work in performance and installation. Dove was the Hirshon Artist/Director in residence at the New School for Social Research in Media Studies 2014/15. Dove has received numerous grants and awards including support from the Rockefeller Foundation, the Greenwall Foundation, the Langlois Foundation, New York State Council on the Arts, National Endowment for the Arts, New York Foundation for the Arts, The LEF Foundation, MediaThe Foundation, and the Eugene McDermott Award in the Arts from M.I.T.